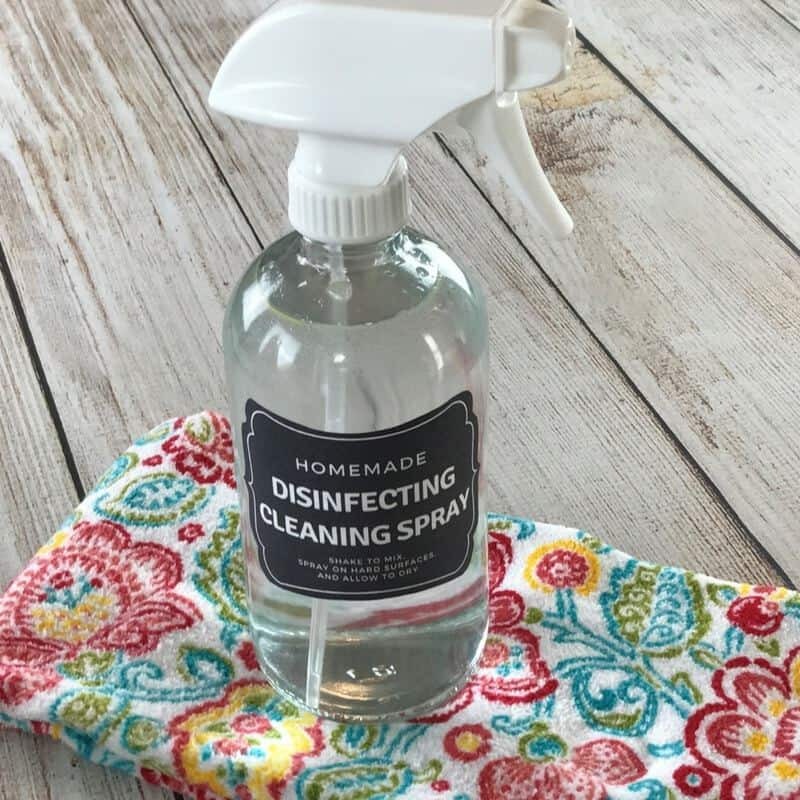 Clean your home and freshen it at the same time with this natural essential oil disinfectant cleaning spray. 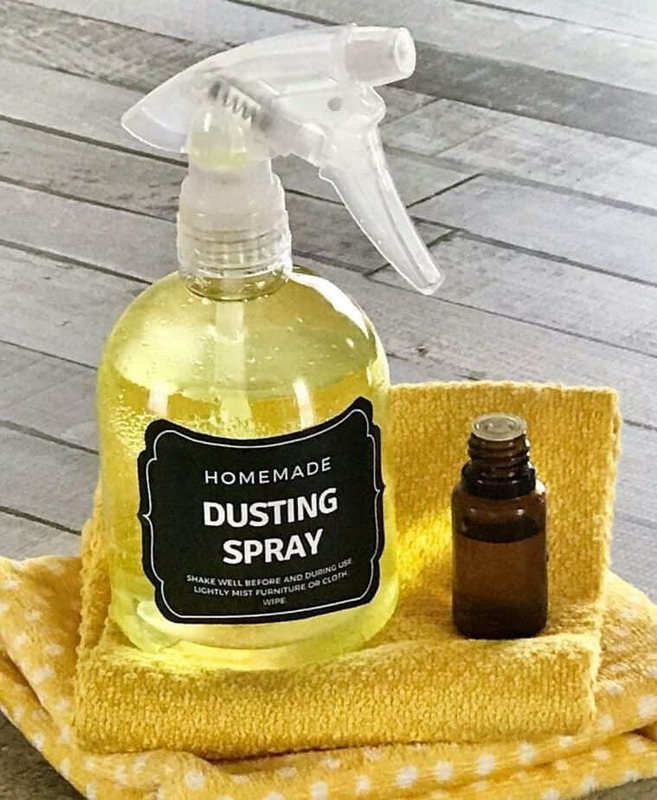 It’s an all-natural, non-toxic powerful cleaner that disinfects, sanitizes, deodorizes, and even kills mold & mildew. And it does all of this with a great, fresh clean scent. 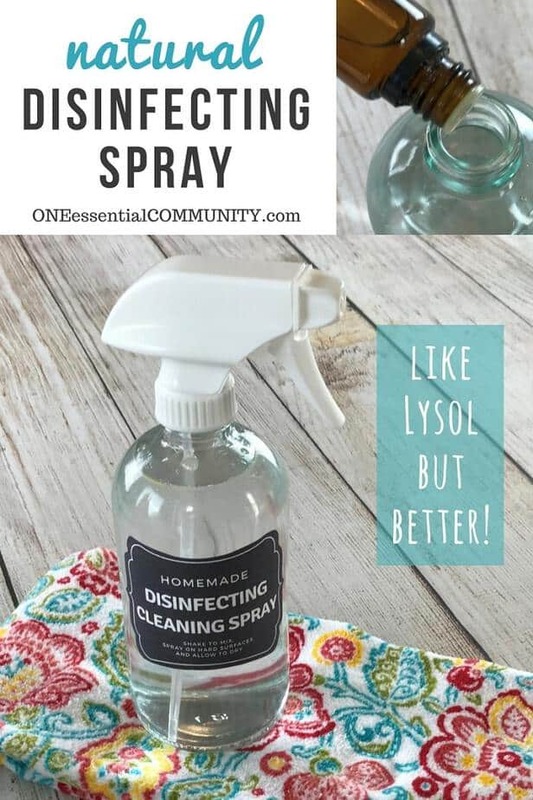 Before discovering essential oils years ago, I used to clean, disinfect, and deodorize my home with harsh, toxic chemicals like Lysol and bleach. But every time I’d use them I’d get a headache. 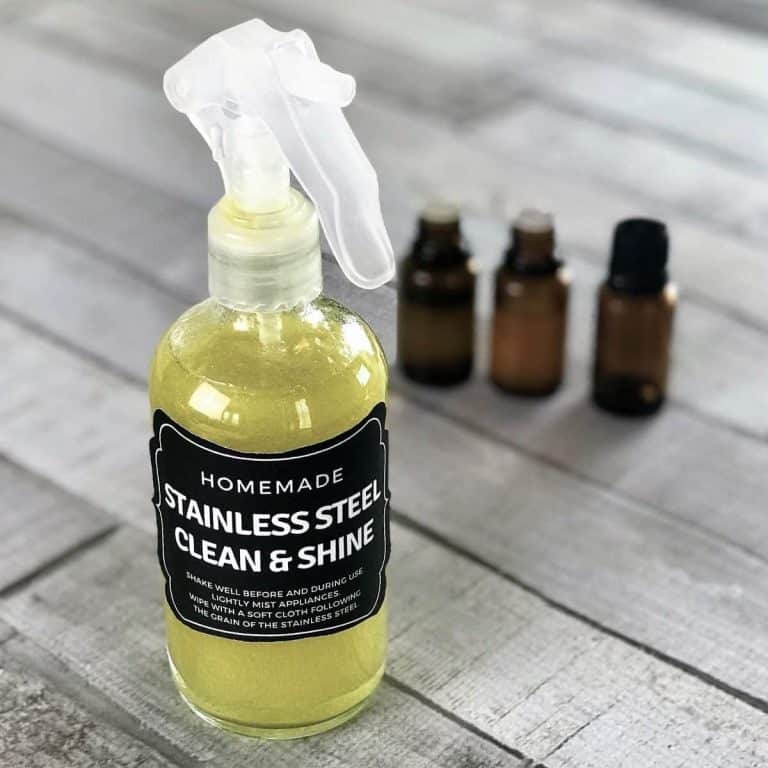 Headache or not, I used to think that using those harsh chemicals was the only way to get my bathroom and kitchen really clean. So I suffered on. 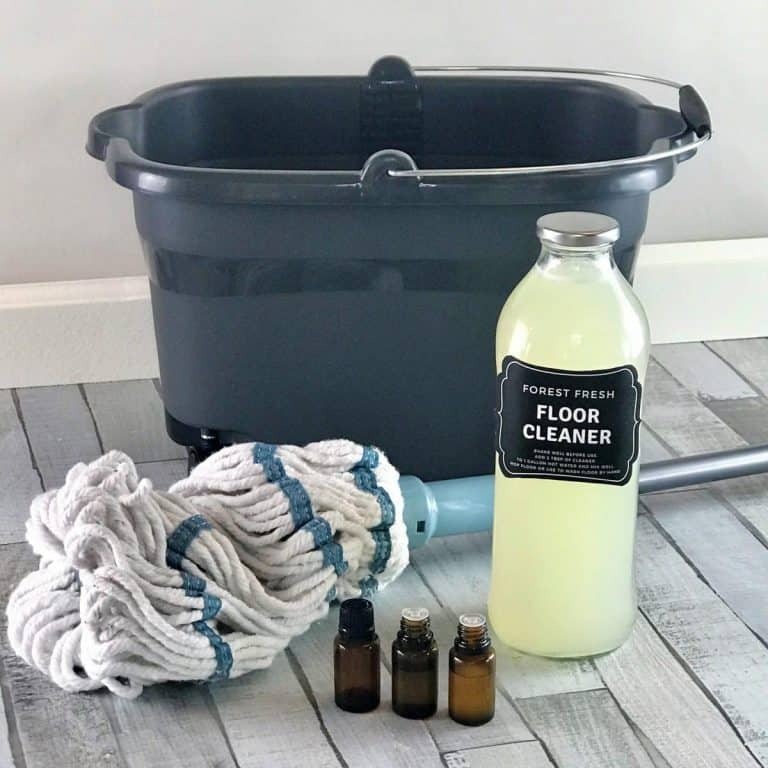 I can get my home clean, disinfected, deodorized, and mold-free naturally. No headaches needed. No toxins needed. No chemical smells needed. fresh & clean scent that smells great! 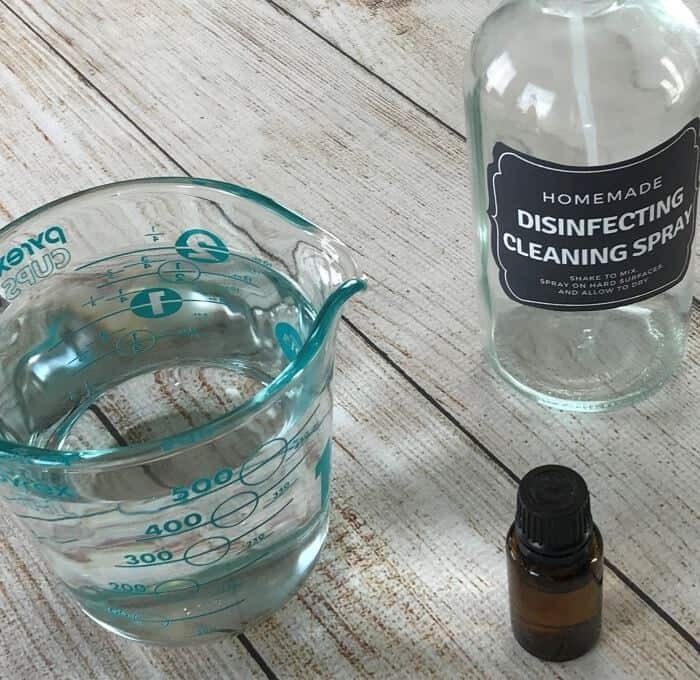 Which essential oils have disinfecting properties? 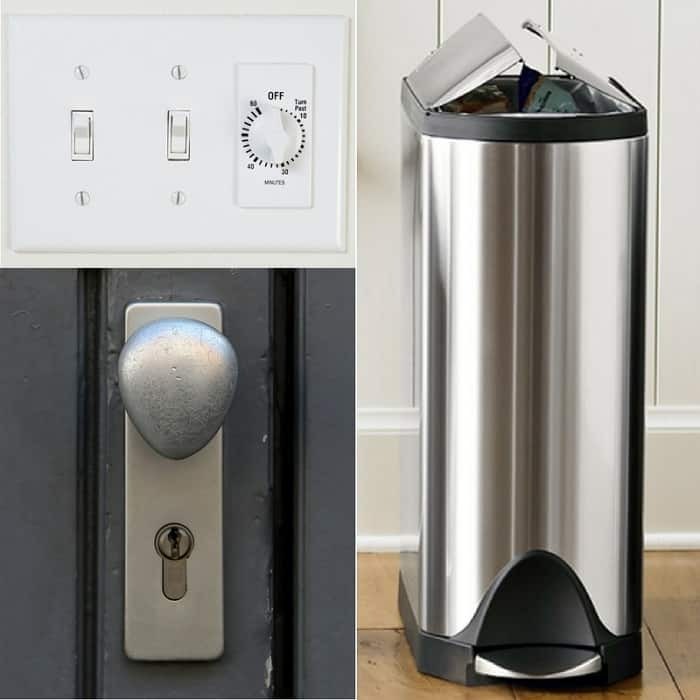 Even after years of using essential oils, it still amazes me all that they can do. 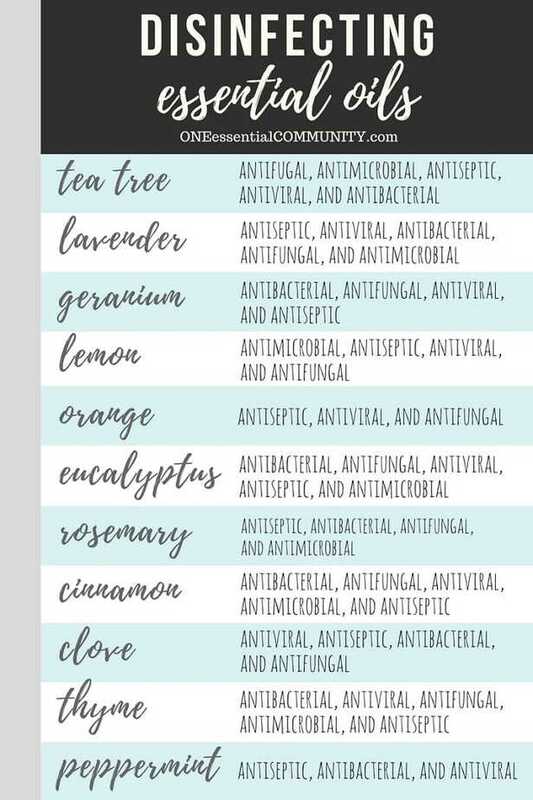 The essential oils listed below are just some of the many essential oils that have disinfecting properties like being antibacterial, antiviral, antimicrobial, antifugal, antiseptic, and deodorizing. 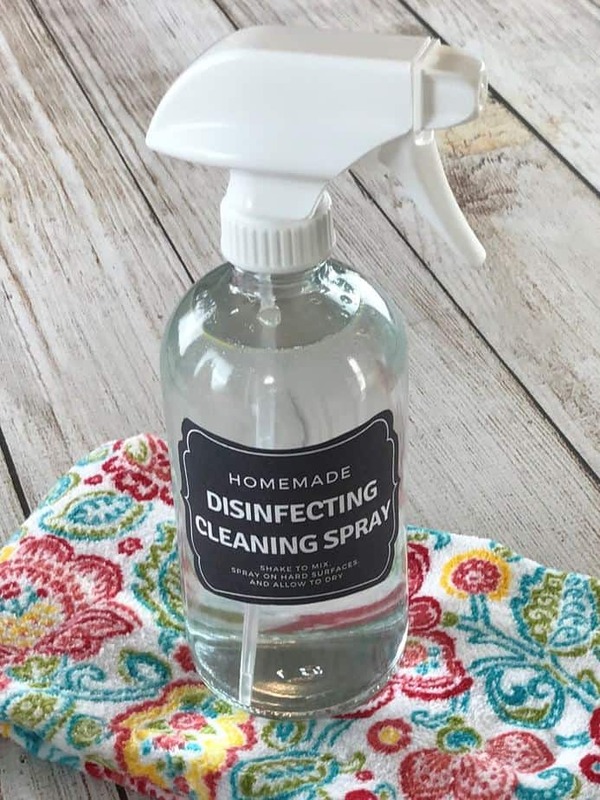 I use this disinfecting spray all over my home. 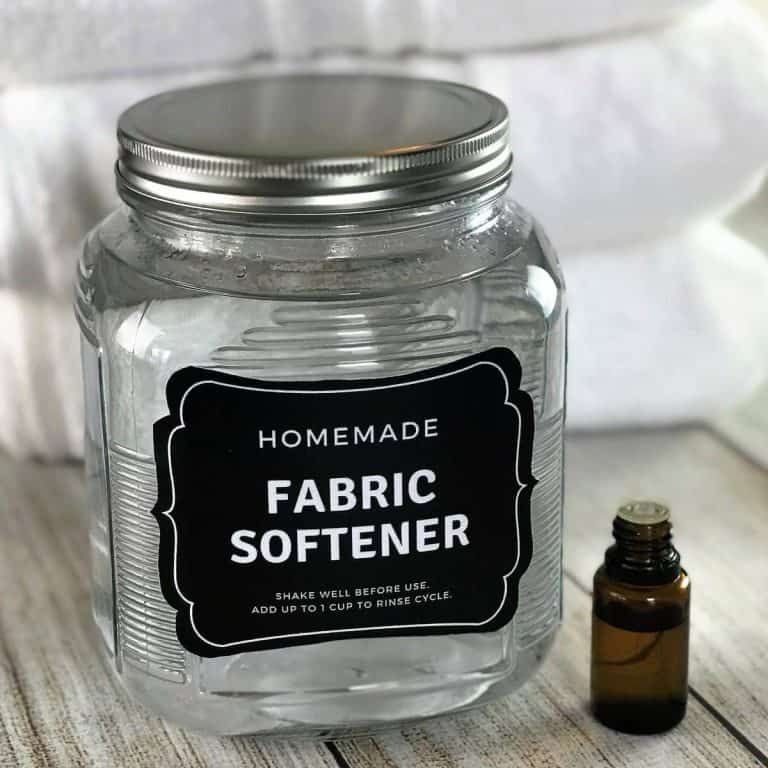 It’s great on hard surfaces (like countertops and doorknobs), but it also works great as a fabric refresher (aka “Febreeze”). Vodka, like most alcohol, is a natural disinfectant. 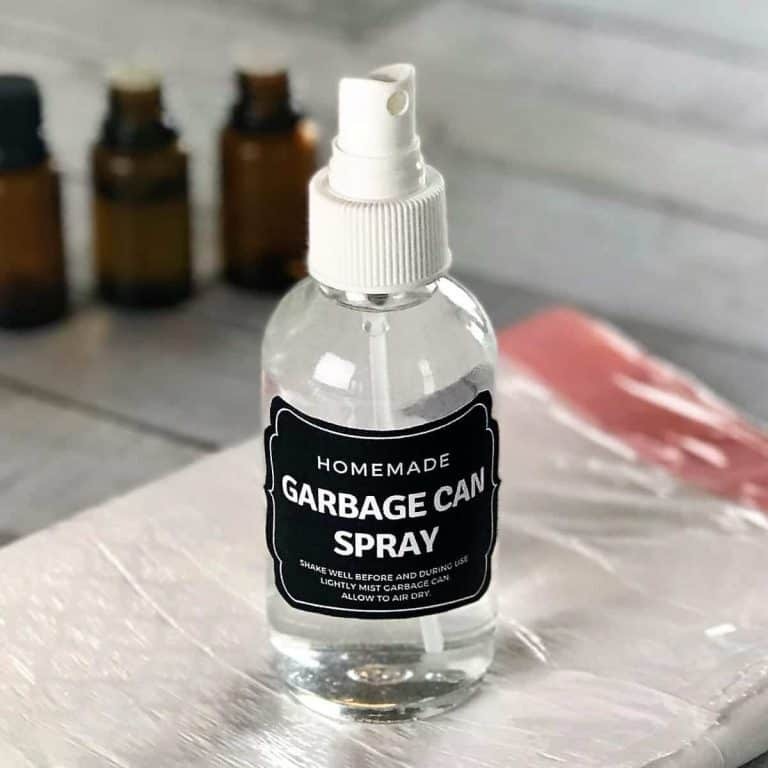 No need for expensive vodka; the super cheap stuff works great and it has almost no scent. 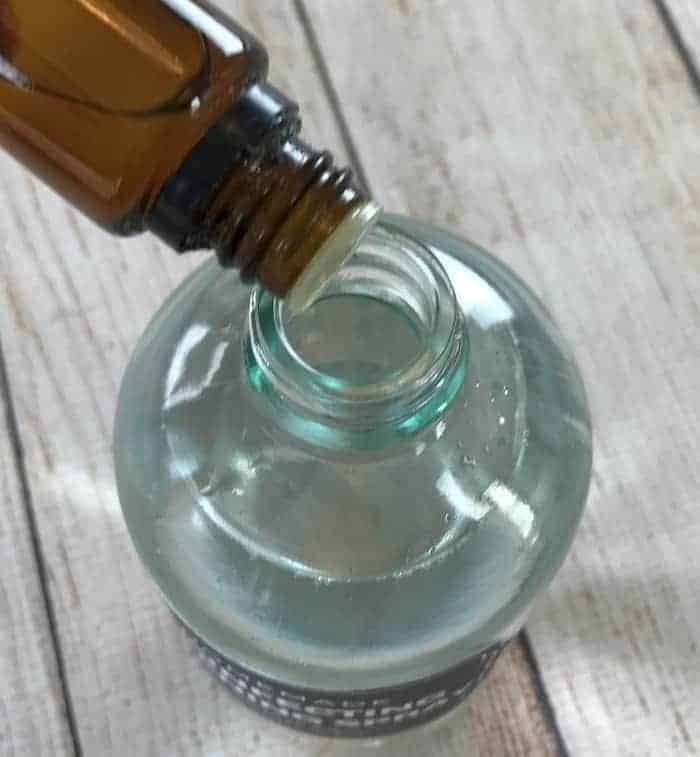 If you don’t want to use vodka, you can substitute with rubbing alcohol. 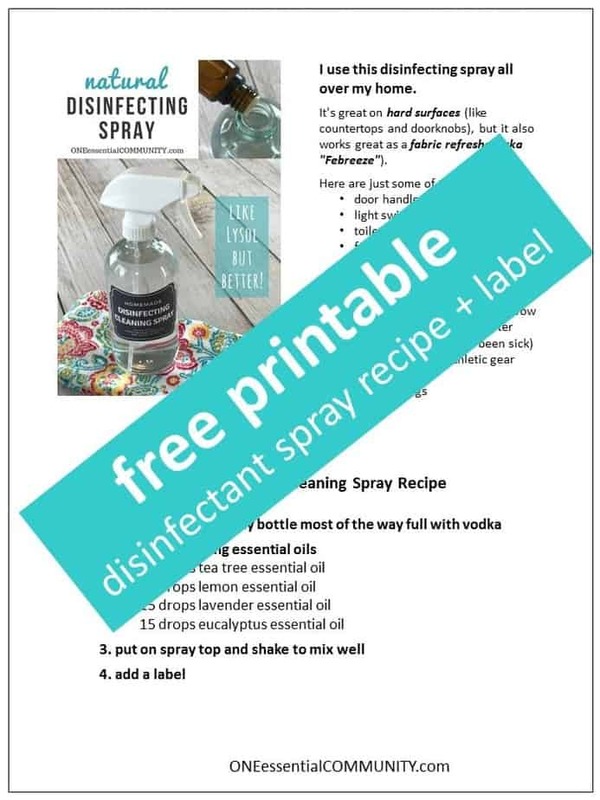 That will have similar disinfecting properties; however, it does have a much stronger medicinal smell than vodka. Or you can substitute water for the vodka, but you will loose the disinfecting strength of the alcohol. 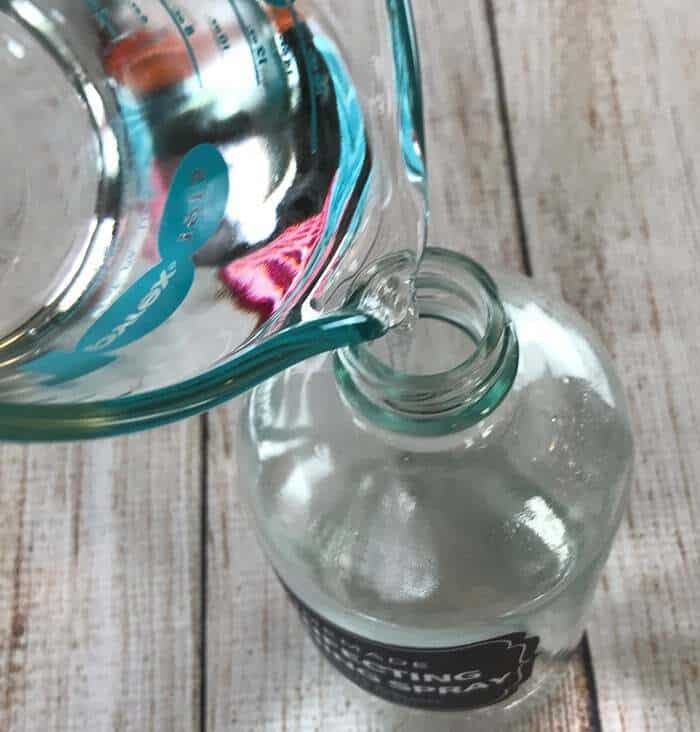 When using water in homemade recipes, to help prolong the shelf life of the DIY item, use either distilled water or filtered water that you’ve boiled and cooled. 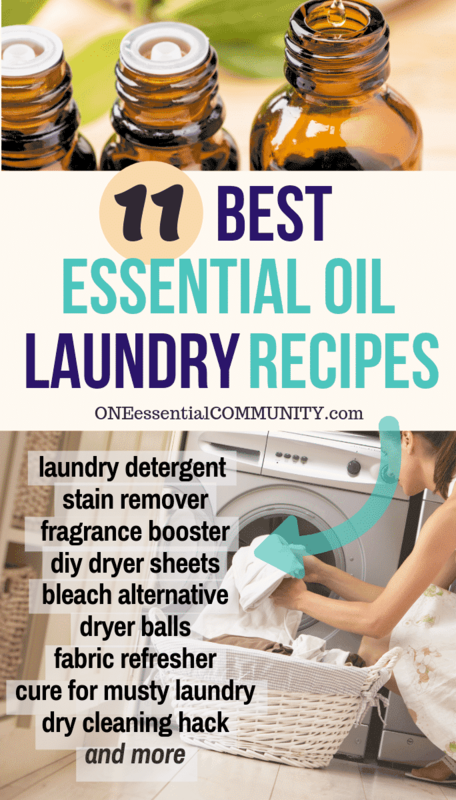 Not only do these essential oils have natural disinfecting properties, the combination of these essential oils smells incredible! BONUS– these essential oils also eliminate stinky odors, fight mold & mildew, and are antimicrobial. fabric should remain wet for 30 seconds.